So you are clicking on a link and it is opening in a browser that’s not your favourite? Don’t worry! Here’s a simple trick on how to make your browser default so that next time you click on any link, it will open the URL in your default browser. We will take the example of Google Chrome in this one, since it is a very popular browser and everybody wishes to make it their default browser. However, if you wish to make any installed browser of your choice as your default browser, you can follow these simple steps too. 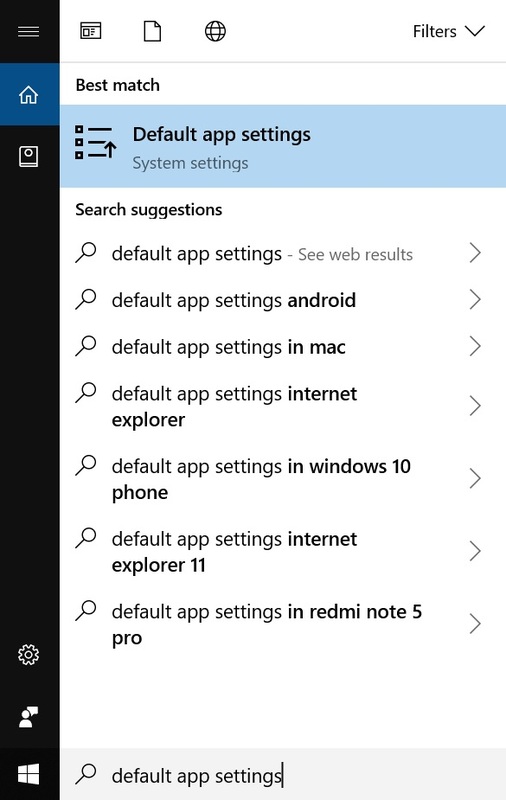 Step 1: Click on Search box in your Windows and type Settings. Then Press Enter. Step 3: In the next screen click on Default Apps. It would open Default Apps Section in Settings directly. Step 4: Scroll down to the Web browser section and click on the default browser that is being shown. Step 5: Then in the small dialog box that opens, select the browser of your preference. If you want to make Google Chrome your Default Browser, click on Google Chrome. Once you have selected it, it will begin to show in the Default Apps section as shown in the image. I will explain how it is done for Google Chrome. Step 2: Click on the three dots at the right hand side corner of the browser. Then click on Settings. Step 3: Look for the Default Browser section in the next page. Click on Make Default button option next to it. Once you have clicked on it, Default App Settings of your system might open up and then you have to once again select the browser of your choice from the list of available browsers. If you liked this cool tip, check out more fun tips and tricks on our website as well.